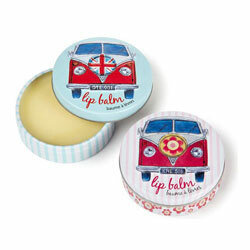 Keep those lips pampered with our delicious lip scrub and balm duo! 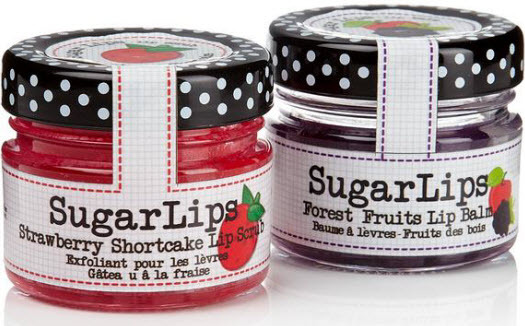 Help her keep those lips soft, beautiful and oh-so-kissable with our delicious Strawberry Shortcake & Forest Fruits Sugar Lips Duo Lip Scrub & Balm. This cute little duo is an ideal gift for those who like to keep their lips plump and fresh all day long and their convenient size means they can even enjoy a spot of beauty on-the-go! 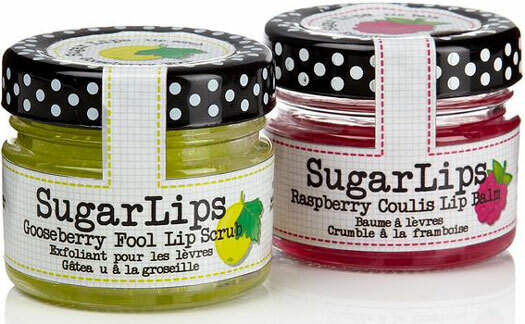 Simply dab a spot of the Strawberry Shortcake Lip Scrub to the lips to exfoliate and smooth dry skin, then apply the sumptuous Forest Fruits Lip Balm for moisture and long lasting gloss for when the gossip just won't stop! 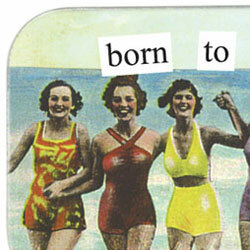 A new fun & tasty way to prevent cracked, chapped & dry lips. 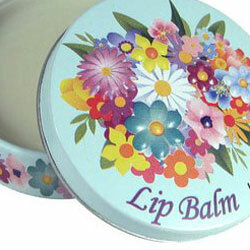 Once they feel soft apply Sugar Lips Lip Balm to moisturise. Beautifully presented in miniature jam jar style pots.